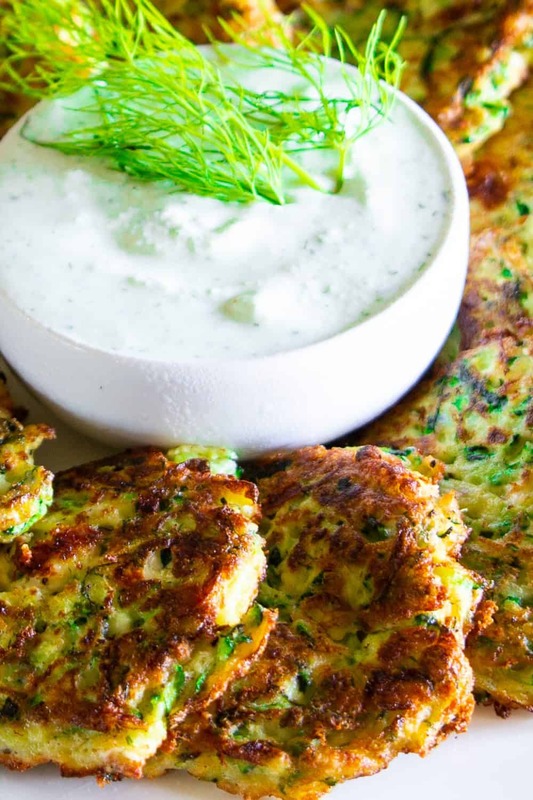 You’re basic zucchini fritters with a Greek twist. 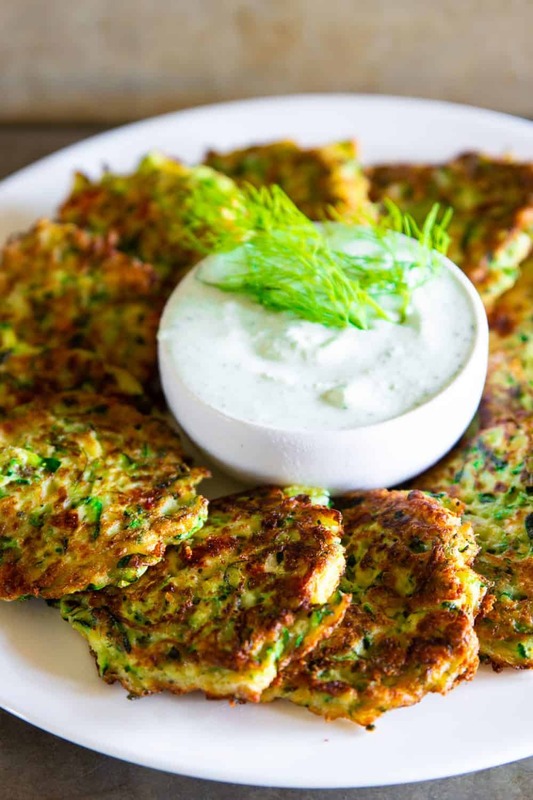 The crumbled feta and fresh dill turn these lovely fritters into a fluffier and tastier appetizer. Serve them warm and crispy with fresh tzatziki sauce. 1 . Shred the zucchini and place it in a colander (with a plate under to catch any excess liquid). Mix the shredded zucchini with 1 tsp salt and let it sit for 15 minutes. Using your hands, squeeze out all the juices. 2 . Place the zucchini, dill, salt, pepper, and eggs in a bowl and stir to combine. 2 . Add the garlic, feta, and flour and mix until incorporated. 3 . 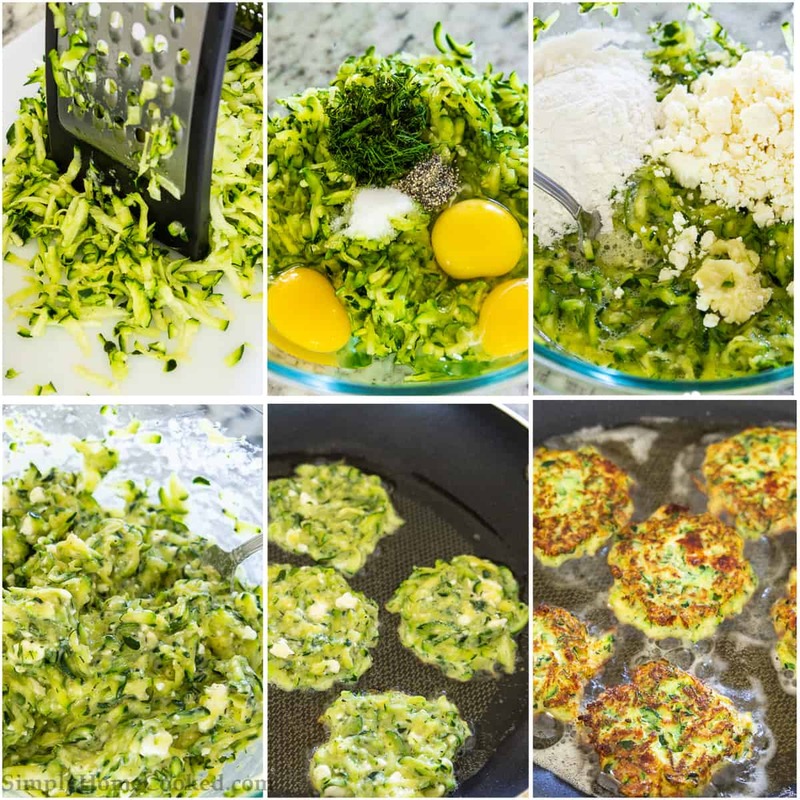 Heat olive oil in a skillet over medium-high heat and scoop out spoonfuls of the zucchini fritter batter. Cook each side until golden brown. Serve warm with tzatziki sauce. Shred the zucchini and place it in a colander (with a plate under to catch any excess liquid). Mix the shredded zucchini with 1 tsp salt and let it sit for 15 minutes. Using your hands, squeeze out all the juices. Place the zucchini, dill, salt, pepper, and eggs in a bowl and stir to combine. Add the garlic, feta, and flour and mix until incorporated. Heat olive oil in a skillet over medium high heat and scoop out spoonfuls of the zucchini fritter batter. Cook each side until golden brown. Serve warm with tzatziki sauce.